We watched in awe alongside the rest of the world as Cascade TEK customer SpaceX made history this Memorial Day Weekend when it launched the Dragon spacecraft on its way to the International Space Station. The launch signals a new era in spaceflight history, marking the first attempt made by a commercial company to send a spacecraft where only government agencies have gone before. The vehicle’s first mission was set up primarily as a demonstration mission designed to provide valuable information for both NASA and SpaceX to be used to ensure the success of future missions. After completing a series of tasks designed to test the technical capabilities of the spacecraft, Dragon was allowed to attach to the space station May 25. Astronauts currently stationed on the space station will spend Monday and Tuesday unloading the vehicle as well as reloading Dragon with return cargo. Dragon will begin its trip back to Earth beginning May 31, to land in the Pacific Ocean hundreds of miles off the Southern California coastline. This is the dawning of a new age; successful completion not only provides valuable information for future travels, it also sets the stage for future manned trips to help deliver and return cargo to and from Earth, providing safe and reliable solutions for delivery of crucial cargo needed for the success of the space station. We’re overjoyed to see the mission is going well and the spacecraft is expected to return on schedule back to Earth this week. Way to go, SpaceX and NASA! Cascade TEK vacuum ovens are fully automated and ideal for space/flight hardware, connectors, or any vacuum process in the “hi-vac” ranges up to 10^8 torr. Visit our SVO-10 Turbo Hi-Vac Oven product page for more information. 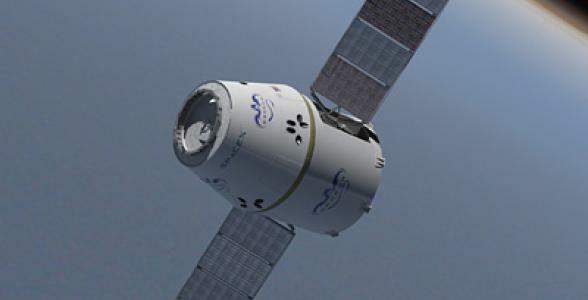 Get updates on the progress of the SpaceX Dragon mission.